The brain develops under the influence of sensory input. During postnatal development, perceptual “attunement” to sensory input takes place while synaptic contacts in the neocortex emerge. This maturation period is characterized by high (juvenile) neuronal plasticity. On one hand, inborn feature sensitivity improves (and forms) during this period, on the other hand in active interaction with the environment the brain learns to categorize sensory features into meaningful sensory objects. Using a natural model of congenital deafness, the deaf white cat, our team has focused on effects of sensory experience on the structure and function of the auditory system. We use cochlear implants to test the auditory function in deaf animals and provide deaf animals with a portable signal processor and a cochlear implant to initiate hearing experience at different ages. We could show that total absence of hearing affects auditory maturation extensively, leaving the brain in an intermediate (neither juvenile nor matured), naïve state (1,2). This influences auditory learning (3) and the interaction between the sensory stimulus and corticocortical processing (4). Also interactions between sensory systems are developing with sensory experience. Absence of sensory experience has therefore extensive consequences (3). Not only the above sensory functions cannot be learned, the nervous system also adapts to the situation by developing compensatory strategies to cope with the loss of one sensory system. Cross-modal reorganization is one consequence, with partly supranormal performance in the remaining sensory systems (5). Congenital deafness also affects cognitive functions, including executive functions, attention and working memory, since language and hearing have a shaping influence on cognitive functions (the “connectome model” of hearing loss (6)). A higher interindividual variations in cognitive function has been observed in cochlear-implanted prelingually deaf children that likely result from individual adaptations to deafness and subsequently also to cochlear implants (6). (1) Kral A & Sharma A, 2012: Developmental neuroplasticity after cochlear implantation. Trends Neurosci 35(2):111-22. (2) Kral A, Baumhoff P, & Shepherd RK, 2013: Integrative neuronal functions in deafness. In A. Kral, A. N. Popper, & R. R. Fay (Eds. ), Deafness. (pp. 151-88). New York, Heidelberg: Springer Verlag. (3) Kral A, 2013: Auditory critical periods: A review from system’s perspective. Neuroscience 247:117-33. (4) Yusuf PA, Hubka P, Tillein J, & Kral A, 2017: Induced cortical responses require developmental sensory experience. Brain 140(12):3153-3165. (5) Lomber SG, Meredith MA, & Kral A, 2010: Cross-modal plasticity in specific auditory cortices underlies visual compensations in the deaf. Nat Neurosci 13(11):1421-7. (6) Kral A, Kronenberger WG, Pisoi DB, O`Donoghue GM (2016): Neurocognitive factors in sensory restoration of early deafness: a connectome model. Lancet Neurol 15(6): 610-621. Andrej Kral was born in Bratislava, studied general medicine at the Comenius University (MD 1993, PhD 1998). His first research position was at the Institute of Pathological Physiology (1992 – 1995). 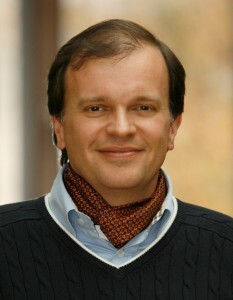 In collaboration with the Mathematical Institute (Prof. V. Majernik) he worked on computer models of neuronal networks. In 1995, at the Institute of Sensory Physiology, J.W.Goethe University, Frankfurt am Main (Head: Prof. R. Klinke) the focus of research moved to cochlear implants. He was appointed associate professor of physiology (“Priv.-Doz.”) at J.W.Goethe University in 2002. 2004-2009 he was Professor of Neurophysiology at the Institute of Neurophysiology, University of Hamburg. Since 2009 he has been Chair and Professor of Auditory Neurophysiology at the Medical University Hannover and the director of research of the ENT clinics. Andrej Kral leads the Dept. of Experimental Otology and the Joint Institute of AudioNeuroTechnology. Since 2004 he has been Adjunct Professor of Neuroscience and Cognition at The University of Texas at Dallas, USA and since 2017 member of the National Academy of Science Leopoldina. The focus of research includes neuroscience of deafness, cochlear implants, auditory development, brain plasticity, cross-modal reorganization and neuroprosthetic stimulation. The research has been published, among others, in New England Journal of Medicine, Science, Lancet Neurology, Nature Neuroscience, Trends in Neuroscience, Brain, Journal of Neuroscience and Cerebral Cortex, he gave more than 150 invited talks at international conferences and research institutions in US and Europe. Together with A.N.Popper and R.R.Fay he edited the volume of the Springer Handbook of Auditory Research on Deafness (vol. 47). The lab has received funding from German Research Society (DFG), Common Scientific Conference Germany, State of Hamburg and State of Lower Saxony, NIH, EU and cochlear implant industry.